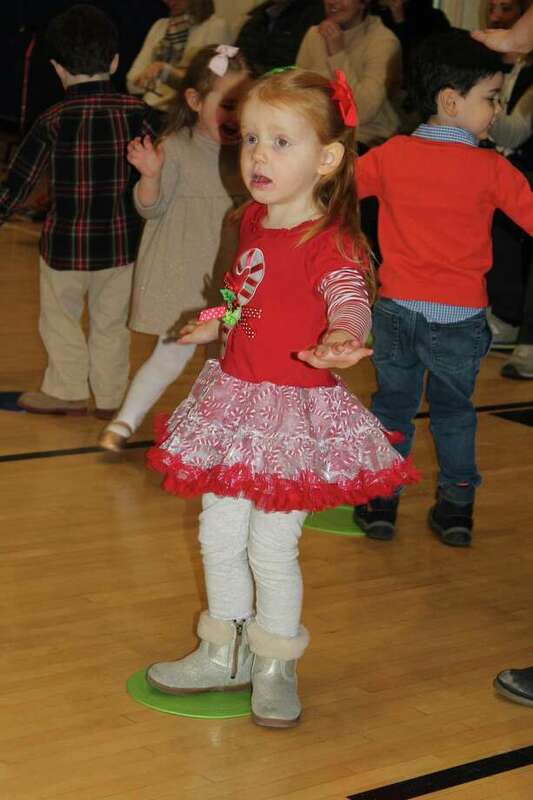 Annie Keefe is dancing her way into the Christmas spirit at Holly Pond Nursery School at the Darien Y's holiday concerts Dec. 14. DARIEN — Holly Pond Nursery School at the Darien Y recently held its annual holiday concerts. The concerts held on Dec. 14 and Dec. 15 featured the students singing and dancing to holiday favorites like “Jingle Bell Rock”, “Rudolph the Red Nosed Reindeer”, “Dreidel”, and “We Wish You a Merry Christmas.” We would appreciate it if you would publish this in this week’s edition. The Darien YMCA is located at 2420 Post Road.